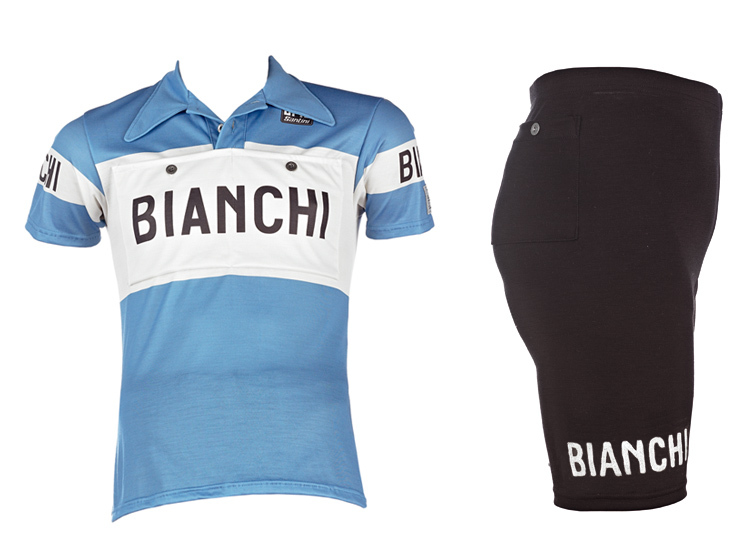 Bianchi, who is beginning a three year sponsorship agreement with L'Eroica this year, has developed a new line of retro racing and leisure clothing using the themes of a bygone era of cycling. 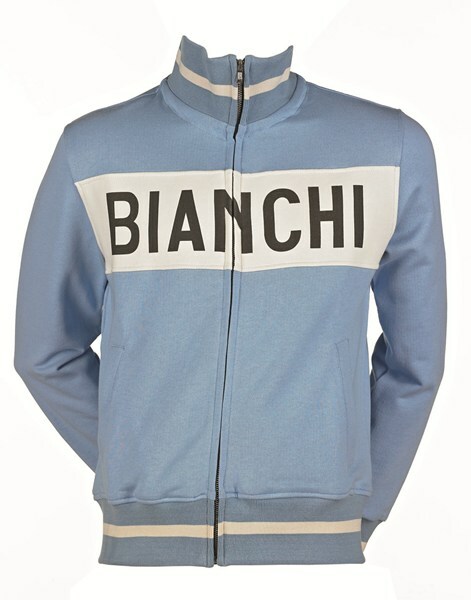 The jersey has pockets with button closures on both the front and back, a collar with button closure, Bianchi on both sides and sleeves. 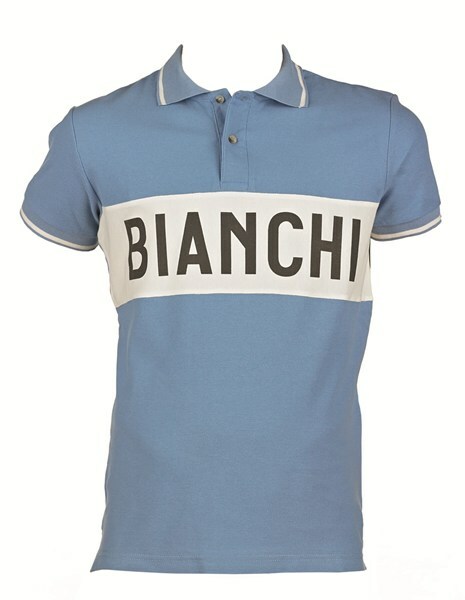 The shorts, have white embroidered logo in relief, a pocket in the back with button closure and buttons for suspenders. In Bianchi celeste...of course. The material is "Wool Yam Heritage". For leisure there is a polo shirt and sweatshirt. These will be available in differenct colors in addition to celeste. The new clothing line will be available for purchase in the near future. 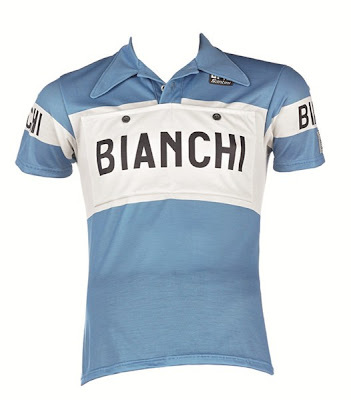 The L'Eroica 2013 is scheduled for Oct. 6; registration is full for this year. There is incentive for me to restore my 52 Paris-Roubaix. All that is missing is the money!